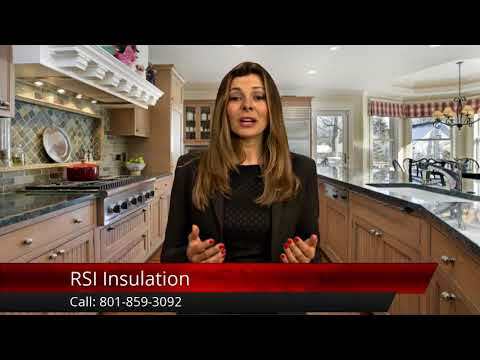 RSI Insulation 801-859-3092. With 15 years of experience we service Home Improvement upgrades like Attic, Wall, Ceiling and Floor Insulation, Flooring (laminate, engineered hardwood and hardwood), Moulding, Trim and more. We offer free estimates and evaluations within local zones. Call 801-859-3092 for Quotes. I called them on a Thursday and had them there on Saturday. They were SPOT on time. They were VERY CLEAN. Did a FANTASTIC job and Even helped me fill out the REBATE FORMS. THANK YOU RSI. doesnt get any better than that. They answered my call immediately and gave me an estimate over the phone. The next day they showed up on time and everything went great. Highly recommended.